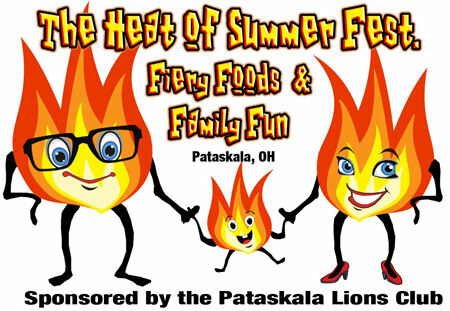 Foundation Park, Pataskala, OH, July 27-28 2013 – The Heat of Summer Festival is a two day event hosted by The Pataskala Lions Club. The festival is a specialty foods show, showcasing vendors from all over Ohio and surrounding area. Vendors specialize in Hot Sauce, BBQ, Salsas, and everything else hot and spicy. There will be sampling and sales of all their goods. Along with the food vendors will be a craft show and other activities for adults and children alike. This will be the second year for the event and the Pataskala Lions Club hopes that anyone looking for a good time will come out and attend. Events for this year are going to include a Chili Cooking contest, Hot pepper eating contest, and other extreme contest. There will be demonstrations from youth groups on the event stage. On Saturday night there will be a concert by local group HillJax-n-Jill. The kid�s area, hosted by the Southwest Licking LEO Club will include games and activities. If anyone is interested in participating in any of our events, or being a vendor please contact Robert Crabtree at 614-390-6291 or look on our website www.theheatofsummerfest.webs.com. Also like us on Facebook and follow us on Twitter.Copyright 2012 ScottRobertsWeb.com.